Despite a propensity toward fierce criticism of his generals, with great regard the Duke of Wellington referred to William Carr Beresford as ‘the ablest man I have yet seen in the army’. 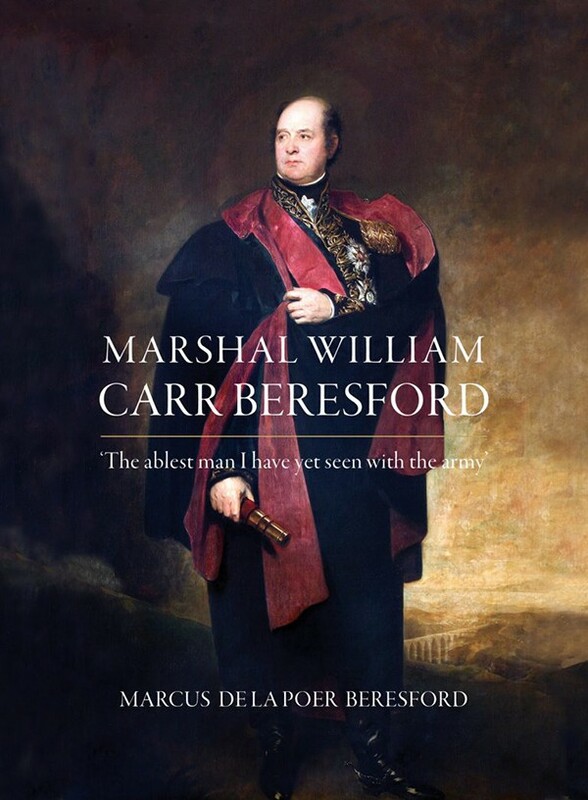 Marshal William Carr Beresford is the story of a celebrated and distinguished Irishman, honoured and decorated by the governments of Great Britain, Portugal and Spain, who served as Commander in Chief of the Portuguese army for eleven years. The book follows the trajectory of Beresford’s extensive military career. Born the illegitimate son of the 1st Marquis of Waterford, Beresford joined the British army in 1785, serving in the Mediterranean, Egypt, South Africa and South America, before further distinguishing himself – and meeting Wellington’s redoubtable esteem – as Marshal of the Portuguese forces during the Peninsular War. Sent to Portugal to rebuild its army in the fight against Napoleon, Beresford was so successful that Wellington integrated the Portuguese and British armed forces in that struggle. Beresford is revealed as a trusted friend and confidant of Wellington, a relationship that was to endure for the rest of their lives. Their ability to work together led to Beresford’s appointment as Master General of Ordinance in Wellington’s government of 1828. Marcus de la Poer Beresford read history at Trinity College Dublin, before qualifying as a lawyer. Marcus retired from legal practice in 2010 after three decades as a partner in the Dublin firm of A & L Goodbody in order to return to his first love, history. His earlier research and post graduate thesis focused on Ireland in the eighteenth century and the Irish diaspora following the Treaty of Limerick in 1691. He is a distant relative of William Carr Beresford.